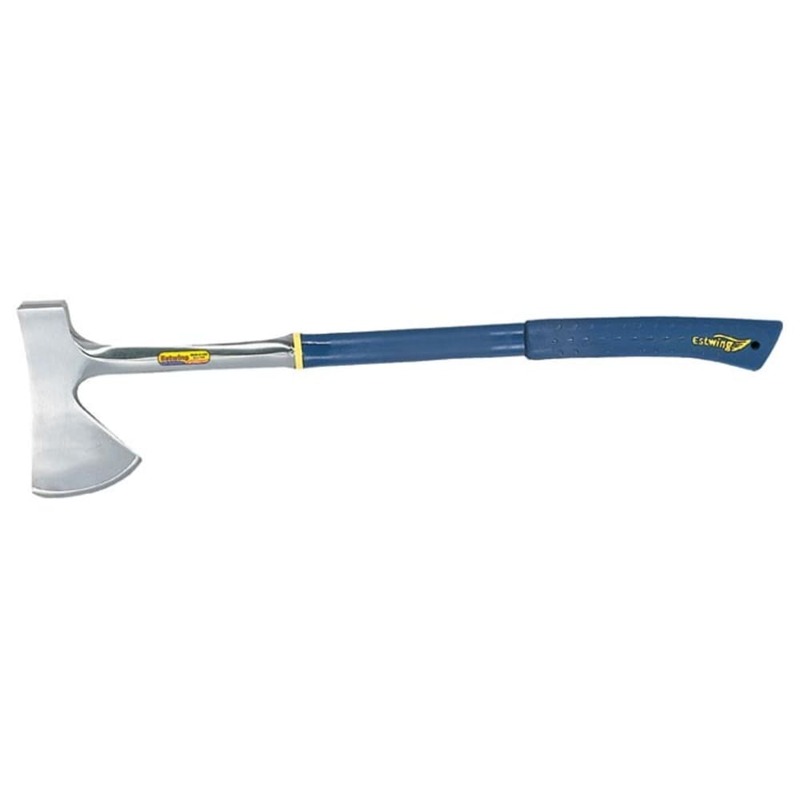 The Camper's Axe is the ideal axe for camping, hunting, and farm use. It has a forged steel head with Estwing's patented Shock Reduction Grip®. The 4" cutting edge makes deeper faster cuts and easier chopping. Includes sheath. This product will be shipped directly from Estwing and will leave their warehouse in 2-3 business days. Eligible for UPS ground shipping only. Campers Axe Sheath: Quality nylon replacement sheath for both 16" and 26" Camper's Axe.